This article was written By Rowena Santos Aquino on 08 Mar 2016, and is filed under Video Essays. This video essay is the first in a multipart series on Johnnie To’s ‘nocturnal’ films of the 2000s. Modern-era Hong Kong cinema is about many things, thematically and audio/visually, but arguably a constant is how Hong Kong films have an undercurrent story about the city itself – not as a backdrop but as a veritable character that shapes the habits and attitudes of the people who populate and/or traverse its spaces. Consequently, the city’s status shift from British colony to a Chinese Special Administrative Region (SAR) in 1997 has impacted not only the look of the city but also the experiences and concerns (short-and long-term) of its population. Of course, much contemporary scholarship on Hong Kong cinema has identified how the lead-up to the handover from Great Britain to China since talks began between the two nations in the late 1970s/early 1980s – through to the signing of the Sino-British Joint Declaration agreeing on the handover in 1984 – acutely coloured the kinds of stories, themes, and characters of films of the era. But since 1997, especially in the twenty-first century, how have Hong Kong films worked through the anxiety, even trauma, of living with the handover and the nostalgia of what Yiu-Wai Chu has phrased the ‘vanishing present’ (‘Johnnie To’s “northern expedition”: from Milkyway Image to Drug War,’ 2015: 197)? Moreover, is the question still relevant or all too obvious? 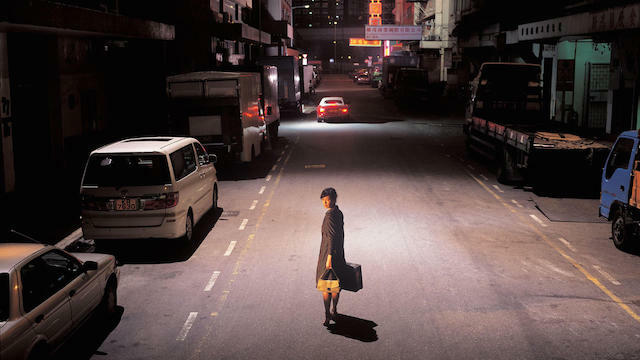 Surely, it would be a reductive exercise to look at all Hong Kong-produced films shot in its streets since 1997 as allegories of the region’s changing spatiopolitical identity –with or without the local population’ s approval and/or cooperation. More reductive still would be to regard Hong Kong as nothing but postcolonial or post-handover space, however much it constitutes such a profound aspect of its identities. 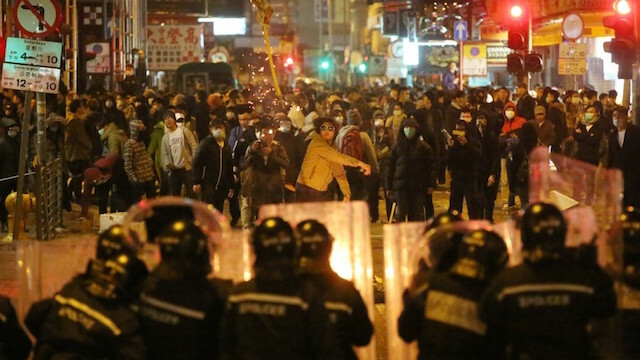 To be sure, however, the recent events between lay citizens and police in Mong Kok – considered ‘riots’ or ‘protests’ (depending on whose perspective) that broke out when police attempted to clear unlicensed outdoor food vendors – bring to the fore all too forcefully the contested, political nature of space in Hong Kong. Thus, a spatiopolitical identity in terms of Hong Kong means two things. On the one hand, the geographical space of the area, as Hong Kong geocultural staples precisely like outdoor food stalls are giving way (voluntarily or involuntarily) to construction projects. By extension, the sociocultural border that separates Hong Kong and mainland China as well as the changing physical look of that geography. On the other hand, the politics of power that motivate these changing landscapes, experiences, and concerns, particularly from Hong Kong perspectives. 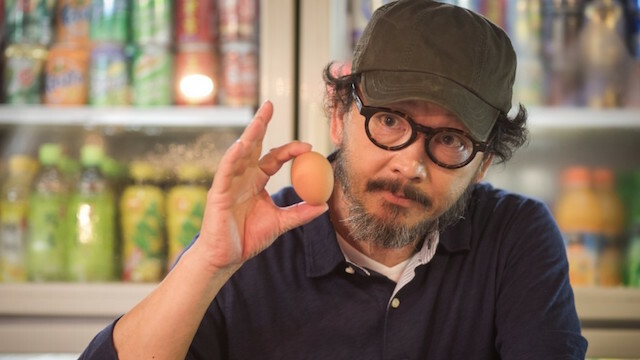 On a film industry level, one is hard-pressed to deny that as the years progress and Hong Kong deals with yet another expiry date of 2047 (which will put an end to the ‘one country, two systems’ policy and fully integrate it into the Chinese state), Hong Kong filmmaking at a local –and not a co-production – level is becoming rarer and more of a challenge to practice and/or define. Accordingly, local filmmaking has simultaneously been a commercial enterprise, an artistic mode of expression, and an (arguably oppositional) archival act. As an archival act, locally made/produced Hong Kong films are not just about remembering and capturing what has been and what is currently disappearing geographically; like films of the 1980s to 1997, they are also about articulating current states of mind that will themselves inevitably transform still as more spatiopolitical changes take place in the region. Take the 2015 anthology film Ten Years as an example. The omnibus film is a local production on local perspectives met with local box office success, as its representations of Hong Kong in the year 2025 tapped into current, ongoing local anxieties, made by emerging local filmmakers – and whose nomination in the Hong Kong Film Awards has prompted Chinese state media to not broadcast the show on the mainland. Perhaps more than any other veteran Hong Kong filmmaker – apart from Fruit Chan – Johnnie To is acutely aware of the three-pronged commercial, artistic, and archival aspects of local Hong Kong filmmaking (surely it is not just coincidental that one of Ten Years’ filmmakers, Jevons Au Man-kit, is a To protégé of sorts). When he and his creative partner Wai Ka-Fai established their production company Milkyway Image Ltd. in1996, their timing was arguably both ambitious and resistant. To himself has acknowledged the difficulties of Milkyway’s first few years, when funding and/or box-office support were hard to come by, domestically, regionally, and internationally, due to the handover. But To and company hit upon the practical approach of dividing productions between obviously commercial vehicles in the form of romantic comedies and more personal, experimental projects – and also between co-directed works and solo directorial efforts, and between those by veteran filmmakers and by emerging ones. Furthermore, To and company have consistently collaborated with a troupe of local actors who appear time and again in Milkyway productions. The result is a veritable filmmaking community that stubbornly insists upon the local (perspective) over the national. Among Milkyway’s stubbornly local productions are To’s nocturnal films of the 2000s, often operating in the crime genre. Among his filmmaking peers, To is also famously well known for having stubbornly held out in engaging in coproduction deals with China through the 2000s. As Chu puts it, ‘To is arguably the last world-class Hong Kong director to go north’ (2015: 193). Compared to the likes of Tsui Hark, John Woo, and Stephen Chow, To and company are relatively new to the China coproduction world. To and company’ s forays into coproduction deals with China began only in the 2010s, such as with the Don’t Go Breaking My Heart films (2011 and 2014); most spectacularly, Drug War (2012), which was To’s first production shot entirely on the mainland; and most recently the musical-inflected Office (2015). In the wake of these films, the next several years will be an interesting period for To and MilkyWay as they adapt to (and test) the waters of mainland filmmaking while maintaining their own local Hong Kong aesthetic, thematic, and narrative terms. In this context, examining more closely To’s solo directorial works during the 2000s reveals a cinema of space and orientation that invites (and not necessarily insists upon) politicised readings of the Hong Kong local and/or personal over the national. To insist on the local is not to negate the national but rather to make sense of the local’s place vis-à-vis the national. In the case of To’s nocturnal films from the 2000s – namely, PTU (2003), Throwdown (2004), Election (2005), Election 2 (2006), Exiled (2006), and Sparrow (2008) – insisting on the local as a means to make sense of one’s place (physically, ideologically, politically, etc.) makes of orientation an interesting critical factor that helps to explain my particular fascination with these films stylistically and thematically. These films are largely about space and orientation, or how/where one places oneself in relation to another, in stillness or in movement, in anticipation of or in reaction to a gesture and/or decision. This emphasis on space and orientation reflects the numerous observations on framing, composition, and criss-crossing narratives of loyalties and betrayals, alliances and breakdowns, that populate discussions of To’s cinema. 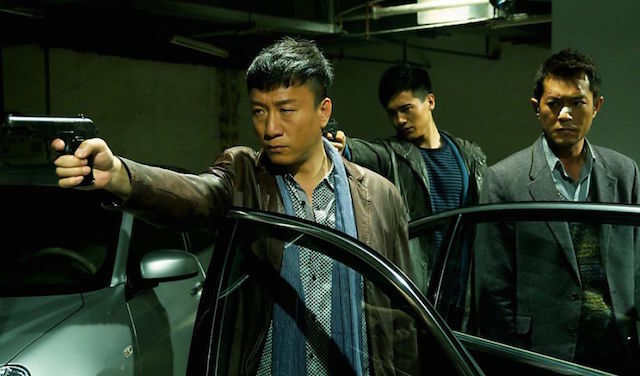 This same emphasis also lends itself to reflect the bigger (political) picture of Hong Kong filmmaking, its identity, and its future in the SAR and beyond and To’s particular stance on it without being overtly incendiary. Consequently, space and orientation in To’s films can be read on several levels, from the literal to the abstract. One, to map Hong Kong spaces; two, to locate one’s localness as Hong Kong; and three, to locate Hong Kong (culture, identity) in a particular historical juncture. 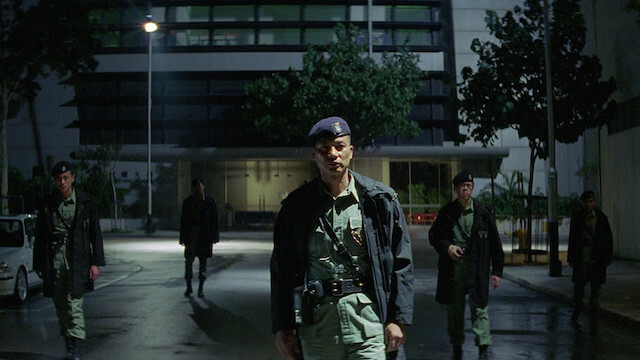 One or a combination of these levels of orientation arguably operate in To’s nocturnal films: the collective and conflicting search for a ‘lost’ gun across Hong Kong streets in the course of one night in PTU (2003) on the part of various units of law enforcement; an equally collective and conflicting search for one’s fighting spirit across Hong Kong streets in the course of an indefinite period of time in Throwdown (2004); a Hong Kong triad community’s battle over leadership and changing face of enterprise between the border in Election (2005) and Election 2 (2006); an unexpected reunion of hitmen whose last hurrah of a job takes them around Macau’s streets and backwater on the eve of its own 1999 handover from Portugal to China in Exiled (2006); and a group of pickpockets navigating Hong Kong streets and their encounter with a mysterious woman in Sparrow (2008). 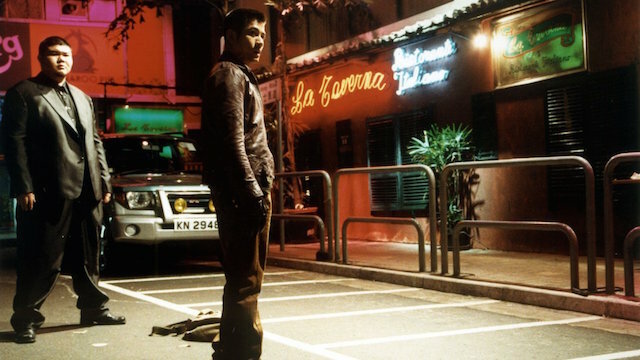 Using Hong Kong as his canvas, To’s nocturnal films (individually and collectively) are a compelling lens through which to register and/or imagine the local (in both political and personal terms) in the larger context of post-handover identity-negotiation. A striking element of these select To films is Cheng Siu-Keung’s shadow cinematography – thus earning the rubric of nocturnal films. While Cheng’s cinematography is a constant across all of To’s solo as well as collaborative directorial works with Wai Ka-Fai since MilkyWay began (and even before), in these particular films To and Cheng play with darkness and shadows in such a way that scenes become experimental theatrical acts in their degree of stylisation, making the nocturnal ever more so and above all revealing powerfully space and orientation as leading characters. With Hong Kong as his canvas, To paints (under)worlds in constant change, so that one must in turn constantly re/orient oneself: for the sake of self-preservation, self-realisation, and/or self-abnegation, tempered by duty or desire — or, more often than not, a mix of both. To’s characters across these six films re/orient themselves according to shifts in power and hierarchy; the tug between loyalty and betrayal; the conflict between self-belief and self-doubt; or at times according to a combination of these contexts, rigourously expressed in spatial, liminal terms. On the one hand, we can look to The Mission (1999) as the starting point for To’s aesthetic of the collective and camaraderie and a minimalist plot that belies a complex choreography of camera, bodies, and settings. On the other hand, we can look to the Election films as the starting point for a more streamlined, plot-driven narrative tempered by Cheng’s stylised shadow cinematography. However, the film that links the collective, the camaraderie, the minimalism, and shadow cinematography and kicks off a prolific solo directorial period for To in the 2000s is undoubtedly PTU (2003). 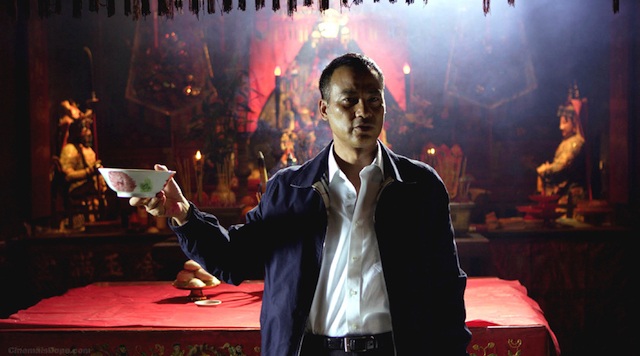 Chu, Yiu-Wai (2015) ‘Johnnie To’s “northern expedition:” from Milkyway Image to Drug War’, Inter-Asia Cultural Studies, Vol. 16; no. 2, pp. 192-205.